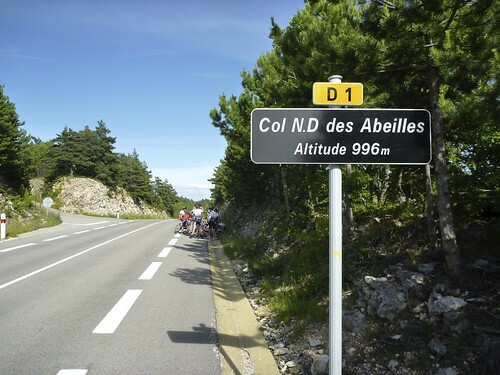 The afternoon before our 3am assault of Ventoux we cycled this nice little loop from Bédoin up to Col Notre Dame des Abeilles. 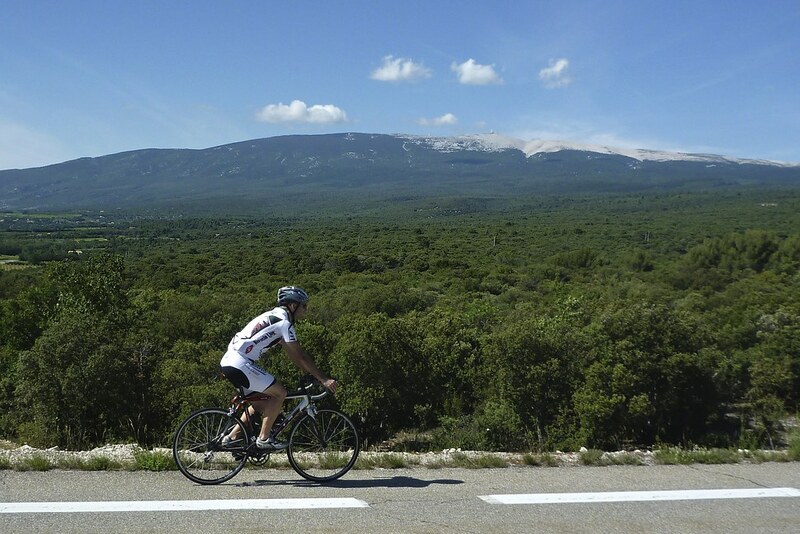 It’s an open, quiet climb with views of Mont Ventoux. The road we took for the descent was a little bumpy, but deserted. So it’s perhaps a better loop in the opposite direction. For really superb loop, combine Col des Abeilles with the – truly superb – and beautiful Gorges de la Nesque (I marked the Gorges on the map. See here for more details. Thanks for a brilliant site: much inspiration and learning. I did the Flassan side of Notre Dame des Abeilles. 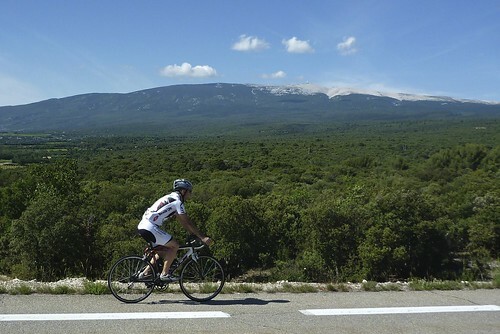 It’s beautifully quiet, not difficult and a nice way to get from Bedoin to Sault, with some views of Ventoux on the way. 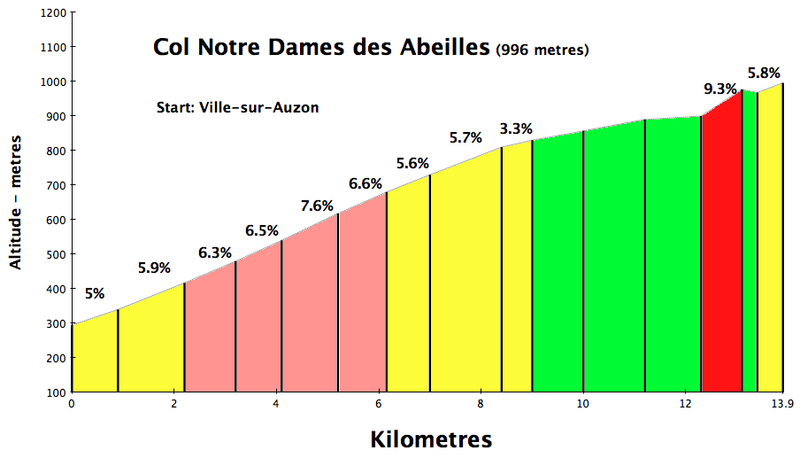 I agree this col would make a fantastic loop with Gorges de la Nesque.